Think about a simple task you learned a long time ago, such as memorizing your phone number or learning how to tie your shoe laces. Chances are, you did this using a method called chunking. You put like things together in your mind—the area code ahead of the phone number, for instance, or the looping action of the lace ahead of pulling the knot tight. As people repeat movements, these elemental actions are merged into chunks. Even after practice has made perfect, and you’ve learned to tie your laces, the basic complex movements remain organized in your brain as chunks. 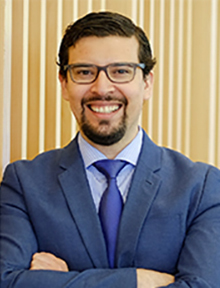 Research published recently, and co-authored by School of Information Studies (iSchool) assistant professor Daniel Acuna, attempts to shed light on why chunking occurs, and how learning in this fashion can be cost effective as far as the brain power exerted to learn in this way. Published in the journal Nature Communications with a team of scientists across the U.S., including Pavan Ramkumar and Konrad Kording from the Rehabilitation Institute of Chicago and Northwestern University, Acuna’s research is groundbreaking, as it makes theoretical advances on a well-known behavioral phenomenon in psychology, whose characteristics were well documented but whose causes were poorly understood. Traditionally, chunking has been studied in the working memory literature. The classic Miller’s study from the 1950s, one of the most frequently cited papers in psychology, established that the capacity of a person’s working memory, measured in discrete units that can be remembered at once, is 7—plus or minus 2. Interestingly, the causal underpinnings described in such an influential study remain poorly understood. “Understanding chunking, and why the brain behaves the way it does, will be key in working with people suffering from neurological disorders such as Parkinson’s disease, Huntington’s disease and stroke,” says Acuna. This will be crucial for early diagnosis, treatment and rehabilitation therapy. Framing chunking as an economic tradeoff offers a different perspective on motor learning and its disorders. For instance, the irregular nature of movements in a patient who has suffered a stroke may be attributed to lower computational budgets for motor learning, and the inefficient movements seen in stroke may thus be adaptive to this neurological budget. Rehabilitation approaches can benefit from this insight. To read Acuna’s findings, view the research on the Nature Communications website.